After making its world debut just two weeks ago at the 2019 Geneva Motor Show, the 1,600-hp Koenigsegg Jesko is already sold out. Despite its $3-million price tag, the Swedish automaker clearly had no trouble finding rich buyers willing to place an order. If, however, you missed out, an opportunity to buy the automaker’s first electrified model has emerged. Production of the car up for grabs is said to begin at the end of June. The seller is asking for at least $3 million for the Regera when the car originally sold for around $2.3 million. The Regera has been sold out since June 2017 and only 80 units are being produced, so opportunities to buy one don’t happen very often. 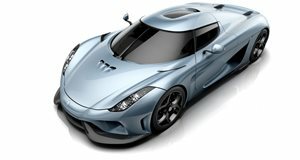 If you need a reminder, the Koenigsegg Regera is powered by a 5.0-liter twin-turbo V8 and three electric motors that sends a combined output of at least 1,500 hp and 1,475 lb-ft of torque to the rear wheels. 0-62 mph takes just 2.8 seconds before the Regera rockets to a top speed of 249 mph. Don’t be surprised if someone tries to flip a Jesko build slot for a profit in the near future.